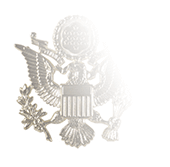 Chief Warrant Officers 2 are always required to wear insignia of grade on both collars of the khaki shirt (long- and short-sleeve), even if it is covered by the Dress or Service sweater, so they are sold in pairs. 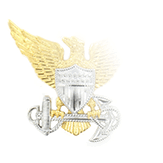 CWO 2 collar grade insignia is also required on the Marine Corps Combat Utility Uniform (MCCUU) and the camouflaged Maternity coats, but in field environments Commanders may prescribe the subdued version of the insignia. 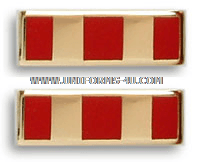 The CWO 2 collar grade insignia is positioned so that the long axis is parallel to the front edge of the collar, centered between the top and bottom edges of the collar. 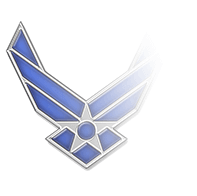 The bottom of the CWO 2 insignia should be one inch from the collar’s front edge. 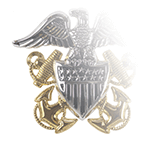 CWO 2 collar grade devices are sold as a pair, while the cap devices are worn on just one side of the Garrison Cap and are sold singly. 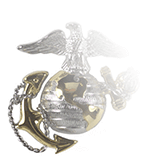 A larger version of the insignia is worn on the shoulders of a variety USMC coats, from the Dress Uniform to the Tanker Jacket.